The cycle of life goes on and on. Young people find each other, get to know each other, marry and many times create families. The children in those families grow up and the cycle goes on and on. 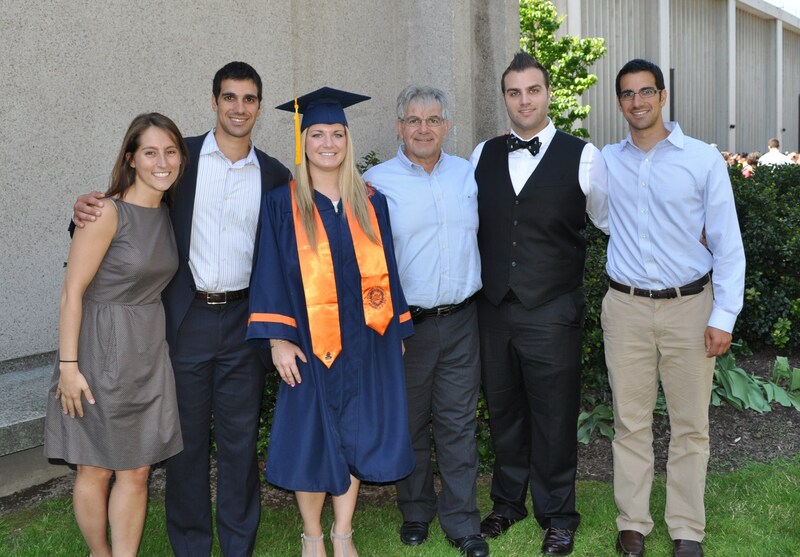 Once again, I find myself wrapped up in our children’s milestones in our own ‘cycle of life’ as Joe along with our three sons and daughter-in-law, recently headed to Syracuse, NY for our fourth and final graduation. The baby has graduated! Unbelievable! From 1982 when Matthew and Michael were born to 1985 when Joseph arrived and finally in 1990 when our little girl made her grand entrance into our lives, it was hard to imagine that in 2012, we would be where we are now. Years fly by. Work, school, sports and many other activities take over your life and before you know it, you are dropping your first child off at college or in our case, the first two. 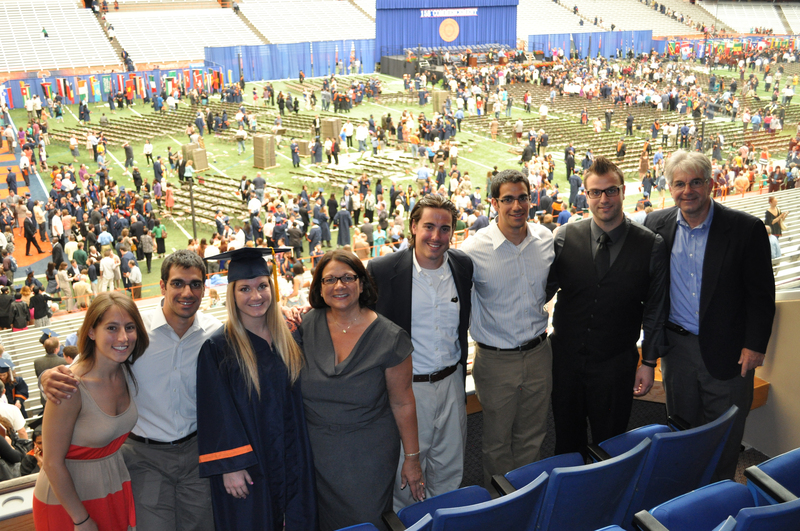 Since all four of our children went to Syracuse University, (and our daughter-in-law, too!) we have spent a lot of time there in those 12 years between 2000 and 2012. Joe made a great observation during graduation weekend. We were all enjoying a quiet moment sitting on the giant front porch of Julia’s sorority house and he said that ‘40-something’ years ago, when he too was a student at Syracuse, he never could have projected forward to 2012 to imagine that he would be here again to enjoy his own children’s graduations. In Joe’s blog, “The Cycle of Life”, he talked about Julia and that is just what I want to do now. As long as I can remember, since Julia was a little girl, she talked about when she grew up, what she wanted to do. At times, it was a Marine Biologist, a Veterinarian, a Pediatrician, a Plastic Surgeon and an Orthopedic Surgeon, just to name a few. The choice was never clear, but it seemed sure that Julia would pursue something in Science. As she progressed through school, she always had good grades, but it seemed that her aptitude was in Science and Math. Therefore, it was not surprising that Julia chose Biology as her major with an eye towards possibly going to medical school. During High School and then during her college years, Julia volunteered and interned in hospitals, nursing homes and a hospice care center. She also shadowed doctors to get a feel for what operating rooms and surgical procedures are like. Ultimately, Julia decided that going to medical school was not her passion. She became intrigued and curious about the work our daughter-in-law, Erika, does. Julia became more and more interested in becoming a speech and language pathologist. This summer following her graduation, she will be interning in three different hospital rehabilitation departments so that she gains more experience and knowledge in the field before applying to graduate school to become a speech pathologist. One of the hospitals where she will volunteer is in California where Erika works. Julia will spend a couple of months in the fall, living with Matthew and Erika to experience living and ‘working’ in a new city. While she is in California with them, she is lucky enough to be able to also join them (and her two other brothers) on a two week trip to Japan and Vietnam. Happy Graduation! I remember when Matthew and Michael were only weeks from their college graduation, we were visiting them at school and I was so excited that they would be graduating soon. I couldn’t wait to see where life would bring them. As we sat with them and a few of their friends, I said something like, “Wow! Graduation is so soon. It’s so exciting! I bet you guys can’t wait.” I think the response was a collective sigh. None of them wanted to leave college or the camaraderie of all of their friends. To them, it seemed too soon to grow up and become part of the real world. I remember feeling so surprised by this reaction because I had never thought of it from their perspective. When Joseph graduated, he and his friends felt the same way. I was less surprised by then, but still felt excited to see where life would bring him after college. Now, I feel that same bittersweet ending. I am very proud of Julia and excited for her as she embarks on the next phase of her life, but now I have to admit that the cycle of life has brought me to a place where I also have to face the end of one part of my life and the beginning of another. It only seemed like yesterday when Julia made her grand entrance into our lives and now she is all ‘grown-up’! 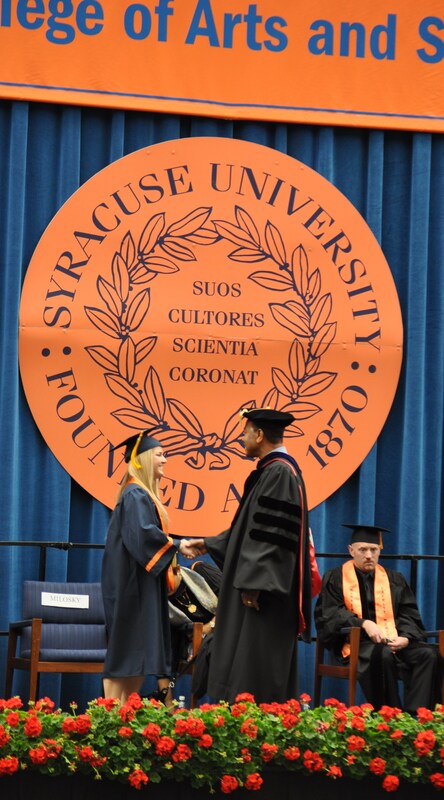 June, 2013 Update: Since graduating from Syracuse University, Julia followed through with her internships during the summer and fall of 2012. Julia enjoyed her time in California as well as her trip to Japan and Vietnam. Julia then returned to NY where she worked for a pediatrician in Manhattan while applying to graduate schools. Julia has been accepted into the Speech and Language Pathology Master’s Program at Columbia University and will start her studies this Fall.